Dr. Michael C. Mulvaney, D.C.
​Dr. Michael C. Mulvaney, D.C. has practiced chiropractic care for over 15 years. Since 2001, he has continued his studies in chiropractics to specialize in specific areas, such as non-surgical spinal decompression, pregnancy and pediatrics, and pain relief for sports injuries. He is proud to serve his local Richmond, VA community, helping his neighbors achieve their wellness goals and live pain-free. ​It all started when he experienced back pain as a teenager playing soccer, basketball, baseball, and running track. He decided to visit a chiropractor about his pain and after just three visits, his pain was gone. Not only this, but he experienced an improvement in his allergy and asthma symptoms, too. He was excited about how quickly his pain disappeared, how it improved other aspects of his health, and how helpful the chiropractor was in helping him understand the source of these problems. After his last visit, he knew what he wanted to do and the rest was history. ​Dr. Mulvaney has practiced chiropractic care to help others in similar situations as him. As his patients required more advanced and thorough chiropractic care, he has furthered his education to meet this demand. Now, Dr. Mulvaney specializes in the Webster's Technique to provide expecting mothers proper, safe, and gentle pain relieving techniques for a smoother and safer pregnancy. This technique helps women experience safer, easier births, optimizing health benefits for both mother and baby. ​Dr. Mulvaney is also widely known in Richmond for his successful treatments of disc-related injuries with non-surgical spinal decompression. This helps his patients live pain-free without the need for surgery. Being an athlete himself, he also completed post-graduate coursework for issues dealing with the extremities (knees, hips, feet, shoulders). He is still an avid athlete and now enjoys life without pain. No matter your pain, Dr. Mulvaney is here to help you experience pain relief using safe and gentle techniques to bring you back to wellness so you can live your life the way you want. Dr. Mulvaney and our team are happy to benefit our community anyway we can. SCCR has donated thousands of hours over our tenure delivering free massages to the Richmond community, teachers, police departments, fire departments, and non-profits. Once a month, our team visits a local elementary school to read to students. It's also not unusual to see us at local race events or community fundraisers. By working together, all of us can make the world a better place one person at a time. At a very young age, Ogochukwu knew her calling was to become a nurse and help people. Moving to the United States gave her the opportunity to accomplish this goal. Ogochukwu obtained her Associate degree in Nursing from J. Sargeant Reynolds Community College, Bachelors in Nursing from Virginia Commonwealth University, after which she went back to school to obtain her Master’s in Nursing from The Catholic University of America in Washington DC in 2018. 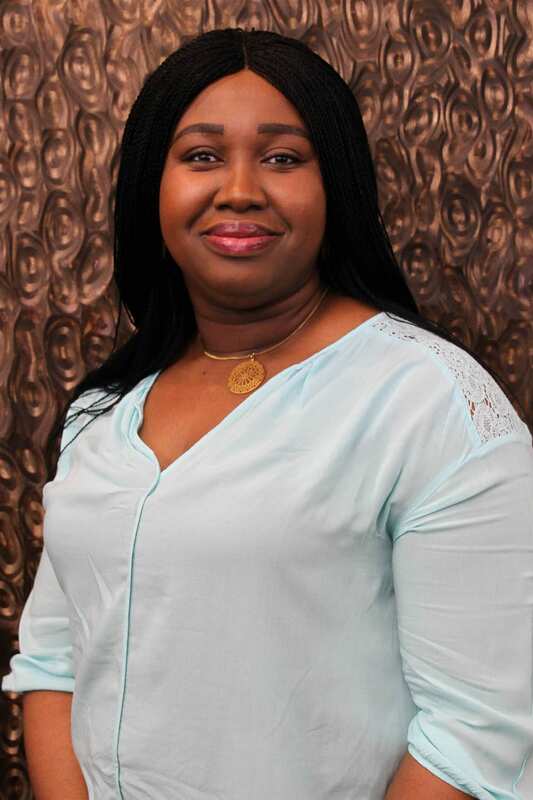 Ogochukwu is board certified as a Family Nurse Practitioner by the American Association of Nurse Practitioners (AANP). She is a member of the American Association of Nurse Practitioners (AANP) and the American Nurses Association (ANA). Ogochukwu began her nursing career primarily in Cardiology units and Neurology Units. In her free time, she enjoys reading and spending time with her two children. Are You An Event Coordinator? If you coordinate community events, call our clinic and ask for our Community Events Coordinator. We're happy to donate chair massages or provide a fundraiser for your organization. Download Dr. Mulvaney's Best Selling Book Today! ​Download Dr. Mulvaney's best selling book, "​Get Past Pain and Inflammation: 7 Breakthrough Strategies to Create Wellness Now." He became a Number 1 best selling Author on pre-release and this book is in the Top 100 list for Osteopathy on the Amazon Kindle Store! ​You'll learn how to use simple tools to reduce or eliminate pain and inflammation naturally. Interested in downloading this book for free? Click the link below to download your free copy now. We hope this book helps you relieve pain naturally using the techniques described. Whether you are experiencing pain you want to relieve or you just need a soothing massage from experts to ease your aches, give us a call today to understand your options and get back to wellness.